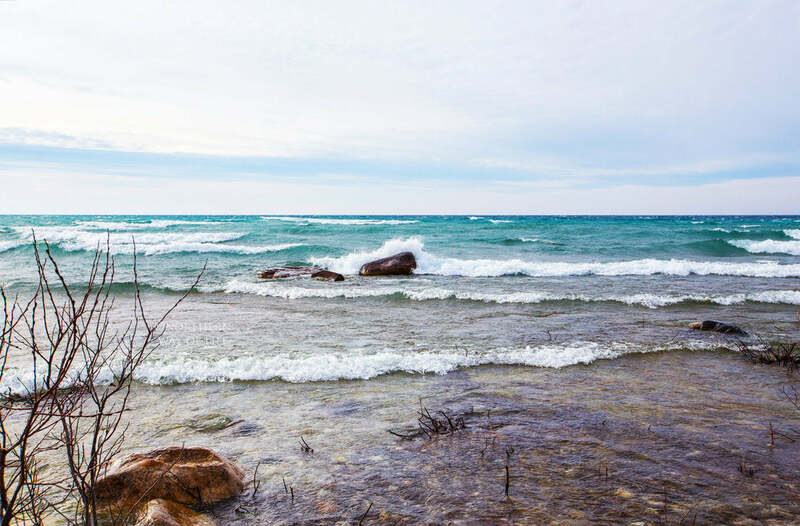 We first heard from Northern Michigan photographer Briana Page over on this blog post, talking about one of her favorite hikes along Lake Michigan, the Clay Cliffs. 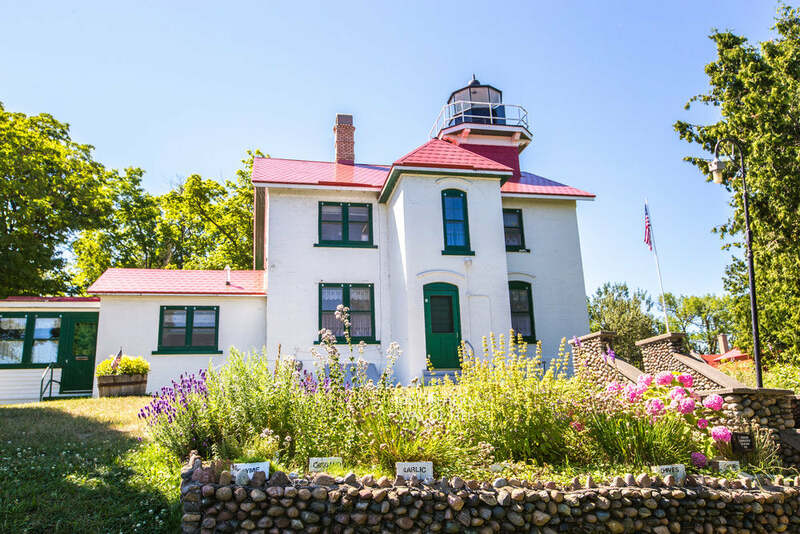 Today she talks about The Grand Traverse Lighthouse, located at the northernmost tip of the Leelanau Peninsula. This area of Michigan is beyond stunning in any season, and it's home to wineries, great food, and all sorts of magnificent VIEWS. 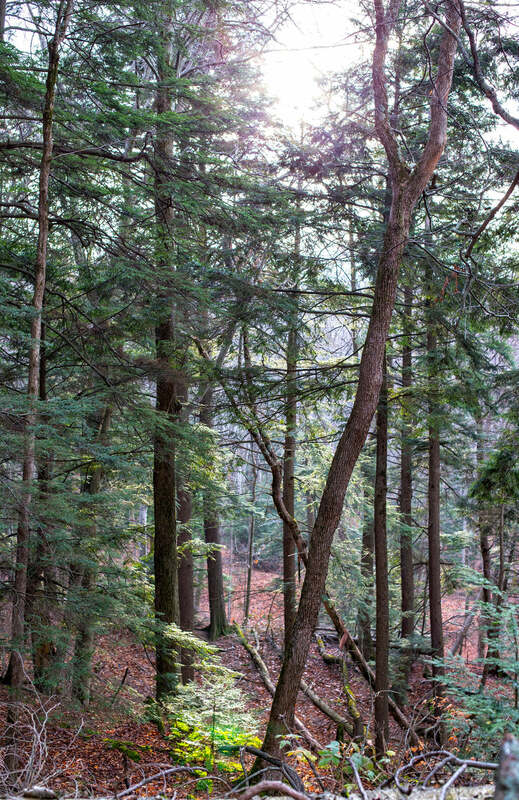 I visited this area in 2010, and I remember being truly shocked that something this gorgeous was possible just a drive away from my home at the time in Ann Arbor, MI. We left this trip with happy hearts from connecting with locals in the area and arm/trunkfuls of some delicious local wines. Typical Katherine, always talking about the wine...let's visit the Lighthouse! Living in a state that boasts 247 lighthouses, it seems you can’t go too far without running into one! Luckily, one of my very favorites just happens to be up the road from my home and I never get tired of roaming its beaches or enjoying the view from the lantern room. 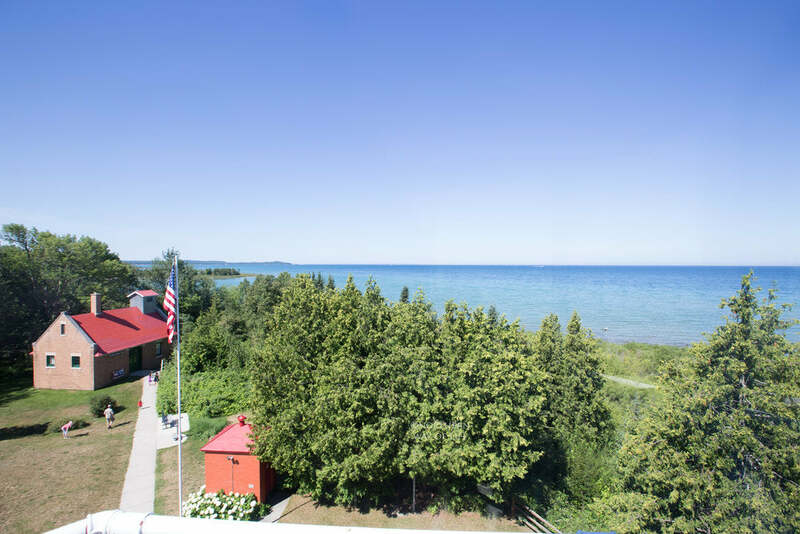 Even better, this lighthouse is part of Leelanau State park, a beautiful 1,300 acre property encompassing the entire tip of the Leelanau peninsula. 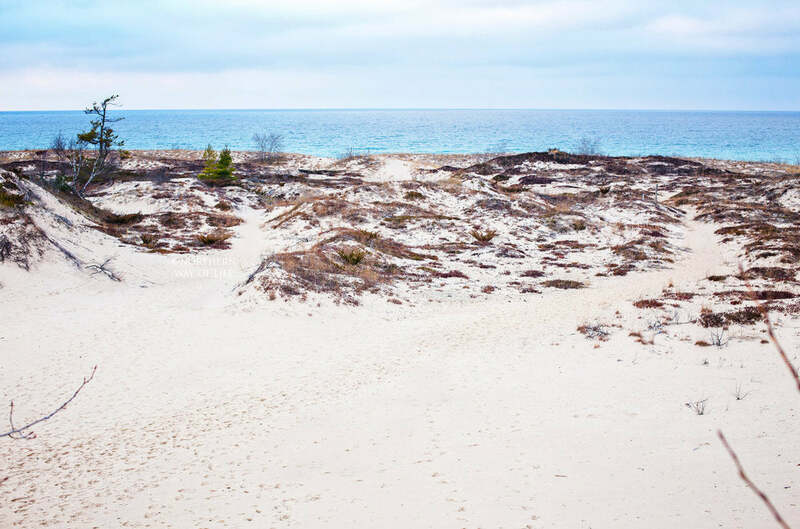 Its trails are beautiful; winding through hemlock forests and finally kicking you out at the dunes with sweeping views of Lake Michigan. 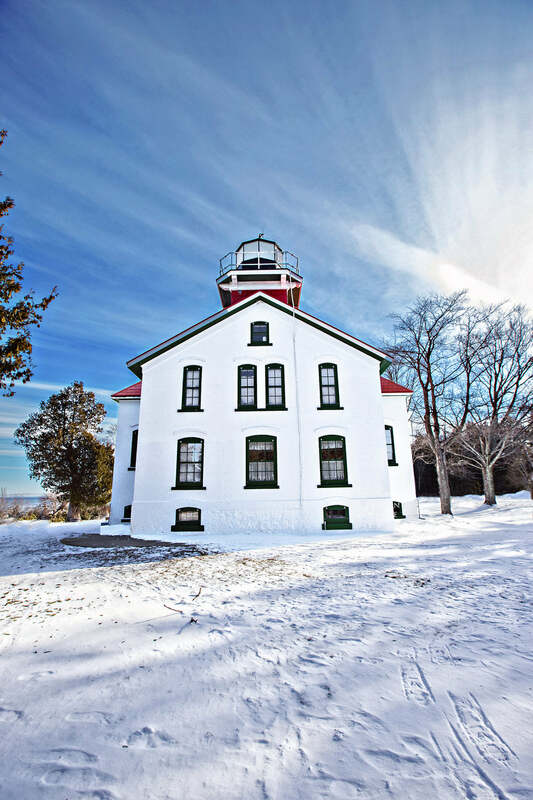 The Grand Traverse light was built in 1858 and was tended to by light keepers until the automatic lens was installed in 1972. The lighthouse opened to the public in 1986, with visitors and locals alike enjoying its beauty! I am a huge history buff, and no matter how many times I go there, I always take the time to tour the lighthouse itself. 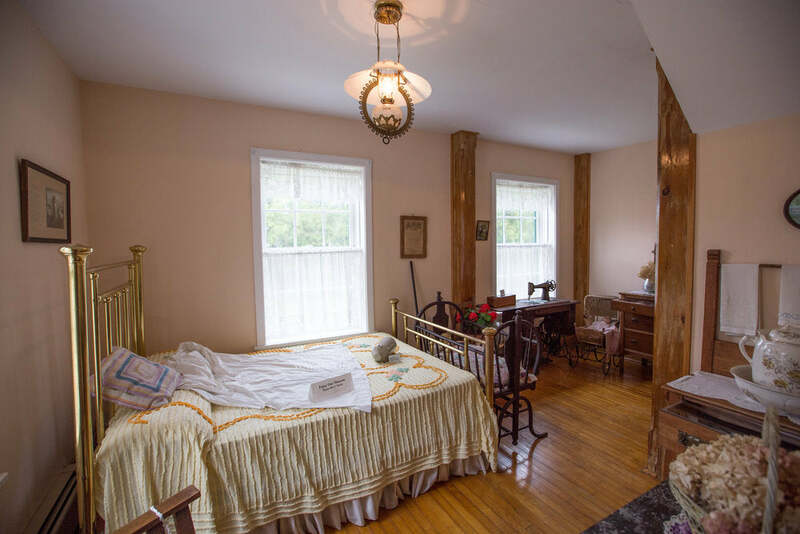 The interior has been restored and decorated as it would have looked in the 1920s for the lighthouse keeper and his family. 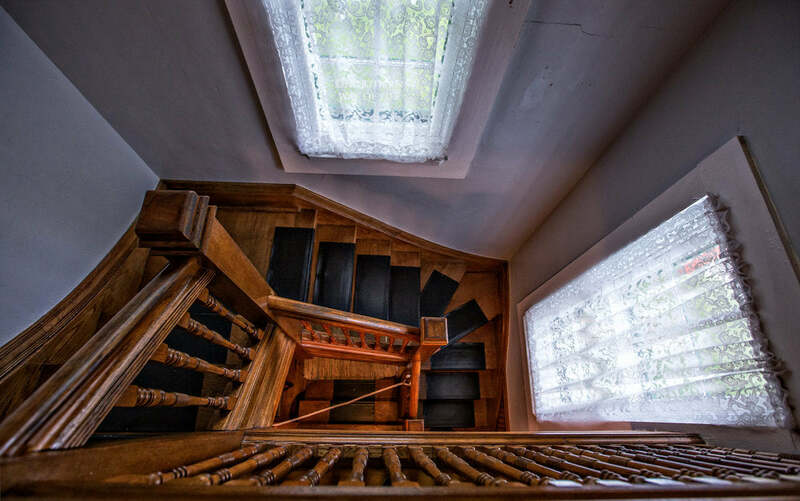 Upstairs you will find maritime and coast guard history and memorabilia and then it’s time to climb the spiral staircase! After a tight climb up a ladder, you reach the lantern room and a nearly 360 degree view of Lake Michigan! 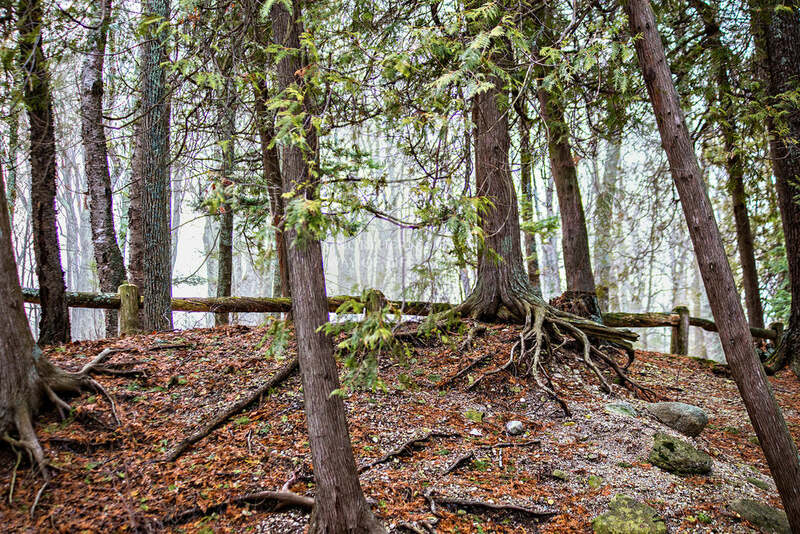 After touring several buildings you’re probably ready to stretch your legs on the trails of Leelanau State Park. You’ll want to hop in your car and take the several minute drive to the trailheads on Densmore Rd. 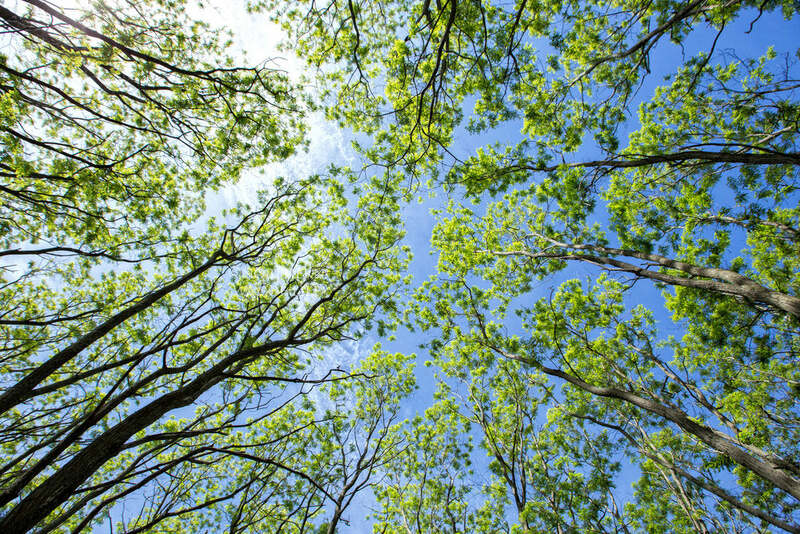 You have 8.5 miles of hiking trails to choose from. My personal favorite route is going to the Manitou Overlook first, then trekking over to the Lake Michigan trail which ends at the beach! Now that you’ve toured the lighthouse and its grounds, and hiked several miles, you have probably worked up an appetite! 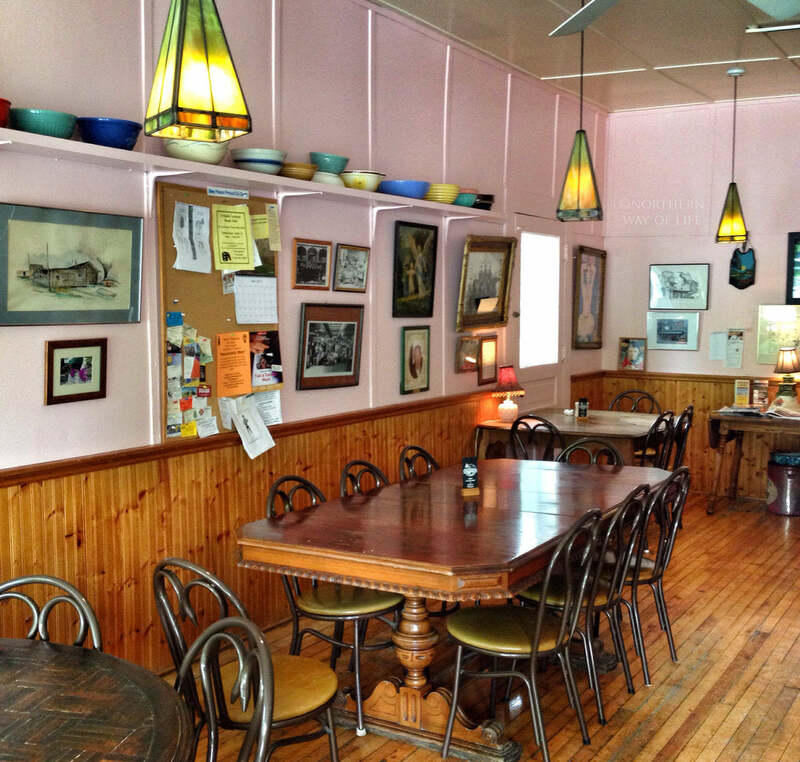 Have no fear, Barb’s bakery in Northport can help you replenish those lost calories with a delicious cinnamon bun (they go fast, so go early!!) or any number of their other delectable pastries. 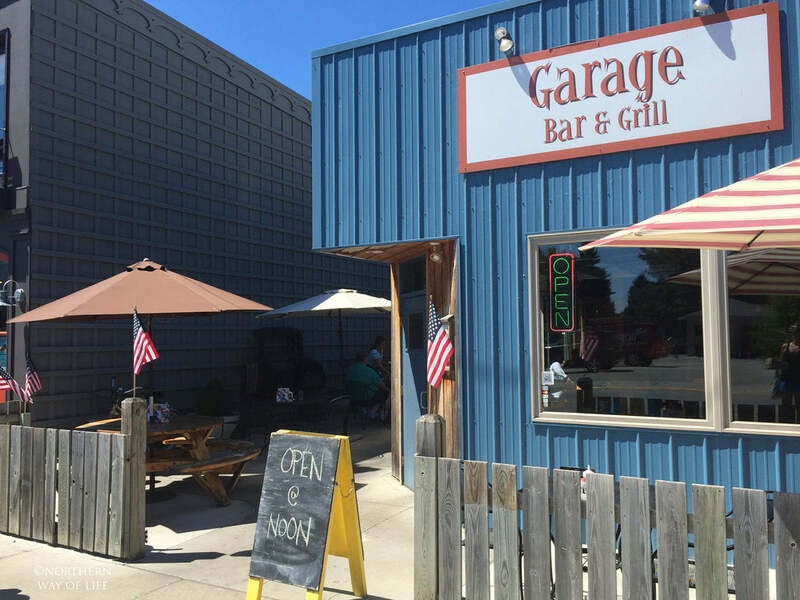 If a full meal is what your stomach is growling for, I would also recommend The Garage. I’ve never left this place hungry or thirsty! 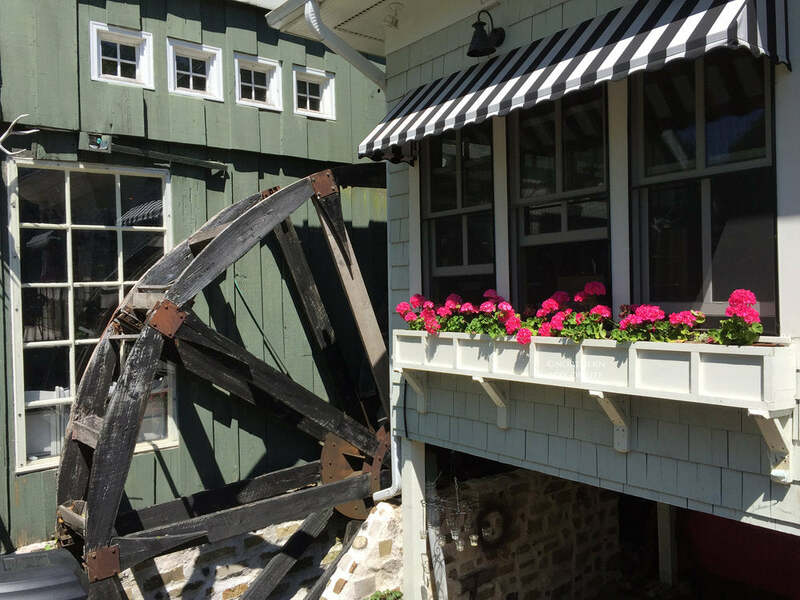 Or if coffee and a gelato is what your palate craves, try Creekside Cuppa, located next to the 1875 Willowbrook Mill! 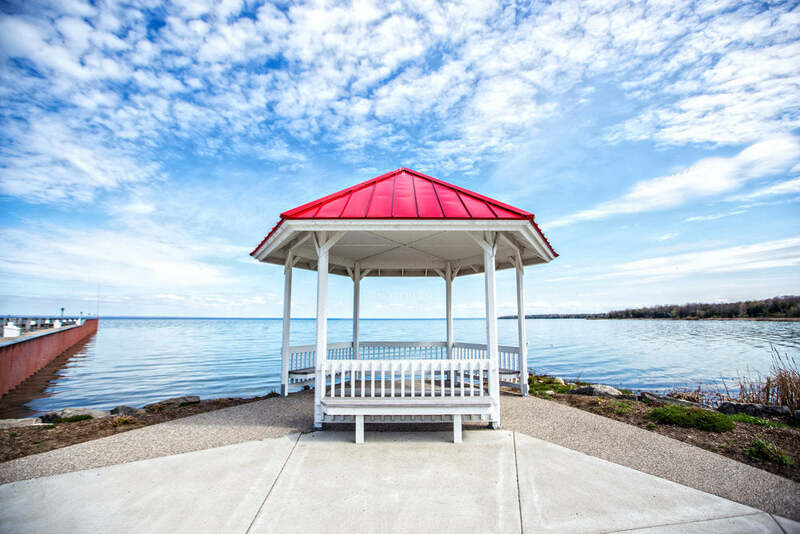 After your hunger is satisfied, it’s always nice to round out the day with a walk down by the Northport marina. You won’t regret it!